Driving high-quality traffic to your site is the primary goal of any SEO campaign. Through the combination of organic, high-quality content – and white-hat link building techniques – you can give yourself the best chance of doing this on an ongoing basis. To help you achieve your ranking goals, it pays to have an experienced company doing the work that you require. With that in mind, Seven Creative are perfectly placed to help; and continue to offer Sheffield SEO services to businesses on both a monthly and one off basis. Focussing on the production of shareable, engaging website copy; they have a proven track record when it comes to successfully ranking sites across a wide spectrum of trades. With that in mind, this company have put together a guide to help explain why organic content should continue to form the cornerstone of your SEO campaign. Focussing on the production of content that offers genuine value to your target website users can benefit you in a number ways. Primarily, it will ensure that you’re providing your potential customers with useful information; that will ultimately persuade them to choose your services. As a result of this, it’s likely that those users will engage with your site for a longer spell of time. Google will look fondly upon this; as the longer a visitor spends on your site, the more the search engines will flag it as a valuable source of information. Finally, if the traffic you receive likes the content, they’re more likely to delve into the deeper structure of your site. This means a reduced bounce rate and more subsequent points scored with the search engines. If and when other web users start to link to your site, the subsequent SEO benefits can see you rise further up the ranking positions. If people see value in your business blog copy, they may feel compelled to share it across social media and other bookmarking sites; which can only have a positive effect. Not only will the links built back to your site by this activity act as golden flags to the search engine algorithms, they will also raise exposure of the shared content you’ve written and get in front of more potentially high-value website visitors. A steady stream of site pages – that you can carefully optimise for SEO purposes – will come as a result of continued organic content production. Each new page presents a chance to for you to integrate search terms that you wish to be found for; whilst the accompanying meta data you can fill in is another factor the search engines will be weighing up when debating the value of your site. Every page of copy that you produce can also be optimised with relevant images, which when added correctly can also give your site a boost. As long as you consistently stick to good practices, you’re sure to see an improvement for your website in the search engine ranking positions. When implemented well, SEO can become a profitable long-term investment for your business. To speak to one of the SEO experts in Sheffield at Seven Creative about tailoring a campaign to suit your needs, give one of their team a call today on 0114 383 0711. Ever wondered if SEO will work for your business? One of our fastest expanding services we provide at Seven Creative, here in Sheffield, is SEO, and there is one thing that nearly all our new SEO enquiries have in common – they’re nervous about the idea of embarking on an SEO campaign! So, why is this? 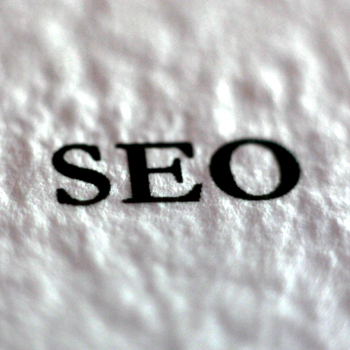 Firstly, not many people truly understand what SEO actually is. To me, it’s simply about making sure a site is of high quality meaning that it can effectively communicate with Google about its subject and purpose (which is a win-win for everyone). It’s certainly not about creating a million inbound links from poor quality sites to manipulate the search results! Secondly, the results seem to intangible. This was something we noticed early on so we made sure that an activity report was available to everyone – regardless of their budget – on a monthly basis. Thirdly, many people have been ripped off in the past. Even now, knowing what we know about how Google evaluates websites, poor quality companies with unethical sales people are still conning trusting people out of their cash by providing poor quality SEO that somewhere between little and no effect to how a site indexes – in fact, poor quality SEO will often have a negative effect on rankings; so don’t underestimate Google’s increasing ability to spot a cheap link! It’s perfectly understandable why Google doesn’t like the current SEO industry – Google wants to be the one evaluating websites; historically, SEO has been about manipulating results to make a site appear more relevant and important that it would normally appear – so everything the search giant is doing in terms of regularly updating its algorithm is pushing site owners towards best practice and high quality content; and away from link building. Ask to see examples of reports – this won’t give you an idea of the results you’re likely to achieve but you’ll be able to see the way those results are presented. Speak to their current customers – happy customers are happy to recommend. Avoid pay-on-results agreements – this incentives the SEO company to provide poor quality SEO for an immediate boost that wears of very quickly when you stop paying. Go local – we all know how nice knowing that the person you’re relying on is available when you need them!